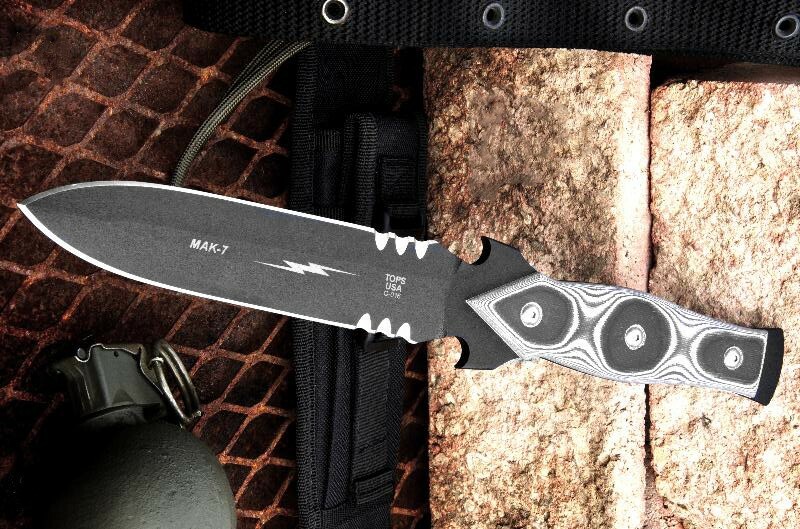 "The MAK-7 from TOPS is a heavy-duty field dagger made to play rough. I will say one thing: TOPS Knives are built strong. The edge held up to the chopping, so I set my sights farther down the blade to the tip-the most used portion of a dagger. I found an old 785 page parts book, and, using the overhand/ice pick grip, started stabbing big holes into it. The MAK -7 penetrated all the way through, plus and eighth inch. Even after eight stabs, the penetration was the same. Overall: The MAK 7 is a great heavy-duty dagger that will last a lifetime." The foregoing are only excerpts from the article.